Appearing on FSG's new "FSG Originals" imprint that specializes in first-paperback-edition novels by lesser-known names, Jeff VanderMeer's Southern Reach Trilogy nearly took over my entire reading summer. Annihilation, the first volume, is a cross between LOST and Andrei Tarkovsky's Stalker with a pinch of Lovecraftian Old Gods in the mix and is a serious contender to be one of my books of the year. 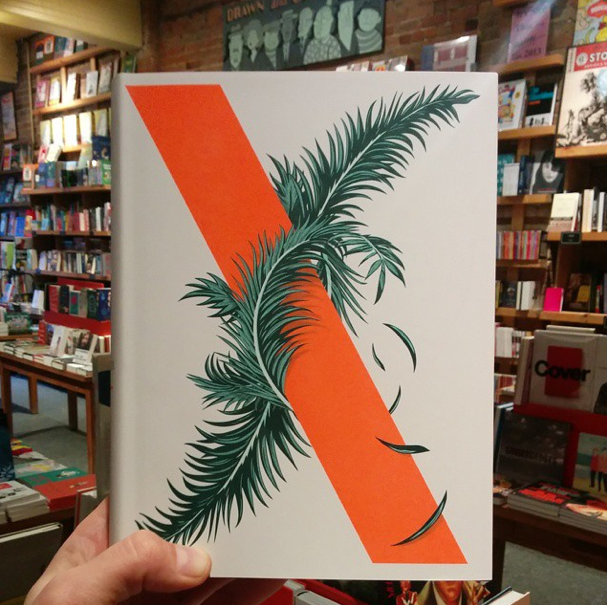 The book follows four female scientists through "Area X", a mysterious realm of ecological overgrowth that has been under scientific scrutiny for years by the Southern Reach corporation. The biologist in Annihilation seems to quickly lose her mind upon entering Area X and has an encounter with a remarkably strange creature in a tunnel who appears to be writing scripture on the walls with luminescent moss. Annihilation is a disarmingly good work of classic horror and will make you want to share it with all your friends. I've hooked my wife, my brother, his girlfriend, and my co-workers on the Southern Reach and plan to with some lucky recipients this Christmas. I can't think of another book that instilled this kind of excitement in me. I think, in part, FSG's to blame. They released this book exceptionally well. VanderMeer planned (or perhaps completely wrote) all three books first so the publisher could know with certainty that the trilogy wasn't going to fall victim to the same plot-loss that takes its toll on scads of other popular sequential fiction out there (I'm looking at you, Mockingjay). And, since the books were all essentially completed at the same time, FSG initiated a very tight release schedule for all three books. Annihilation hit shelves early summer, Authority (about what happens inside the Southern Reach) towards the middle, and Acceptance, the final volume, at the beginning of September. It feels the marketing and release schedule was laid out solely for the betterment of VanderMeer's books; no tricks, no stringing fans along, and little possibility that anyone would lose interest by the time the trilogy concludes. Pretty amazing planning, I think. Here are my three Southern Reach books, signed to me and my wife at the Brooklyn Book Festival this September. Now, even better: FSG just released an omnibus edition of all three books in a single hardcover. It's really beautifully designed, and the list price is cheaper than all three paperbacks together. Here's a photo from the Drawn and Quarterly bookstore's instagram feed -- I have a copy here, but it's already wrapped and ready to give this Christmas. I encourage you to do the same! If you're interested in reading more about The Southern Reach trilogy, I've written some detailed reviews here.